Some dude* is opening a taco shop and dancing on the ashes of the New Spot. Glena‘s SF Tacos and Margaritas is promising an opening in early 2017. In the meantime, Gilberth and Julia are folding the wonderment and joy that was the New Spot into their other bastion of wonderment of joy Gilberth’s Latin Fusion (formerly Gilberth’s Rotisserie). 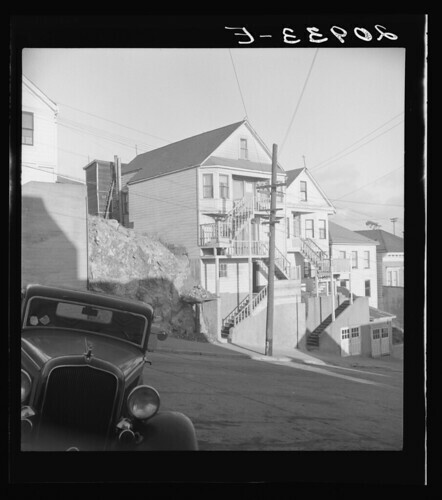 Question two*, where was this Dorothea Lange photo taken? It was taken probably immediately beforehand when the sun was in the west or south. You might also enjoy a photo of the First Russian Baptist Church. * Was there a question one? Uber (which I have used, and is way more convenient than calling a cab company, getting put on hold, getting hung up on, calling back, getting put on hold, getting through to a dispatcher, having them grump about sending over a cab, then waiting 45 minutes before giving up and just driving one’s own car not even that far, jeez, ugh, I give up*) already has an “office” in the greater Potrero District, but it seems that isn’t enough for them — now they will be laying claim to part of a block in the Mad Max-style Wasteland up-and-coming Mission Bay neighborhood. Good for them! Up! We must build up if we are to solve this office space crisis. 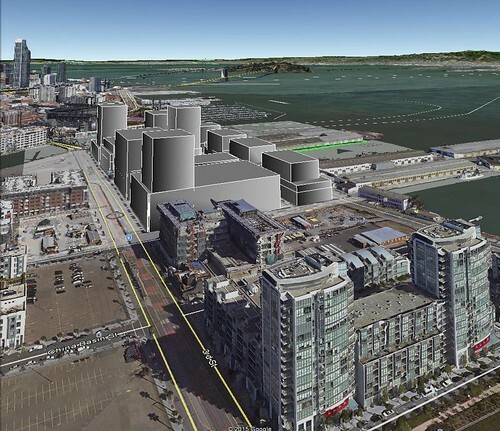 Finally, Dogpatch will have an answer to Sutro. Okay, just kidding***, it will be a boring eleven story tower, not a perch from which evil can survey the land. Anyway, Google Earth is fun and mostly useful to play with. * it is shocking the lengths that cab companies will go to avoid being better. Shouldn’t there be a “disruptive” company coming in with a centralized multi-company taxi dispatch and a general reduction in pure evil? ** Me. I am the team. 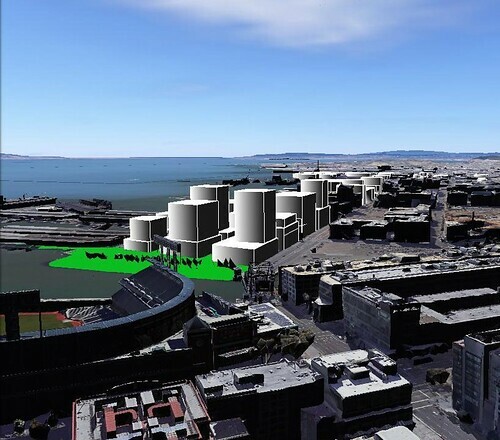 It was only a few months ago that some polling company called me and asked how I, a San Francisco voter, felt about the Giants’ plans for new construction in Mission Bay. I replied with my usual cynicism, and ultimately, I have not been disappointed. 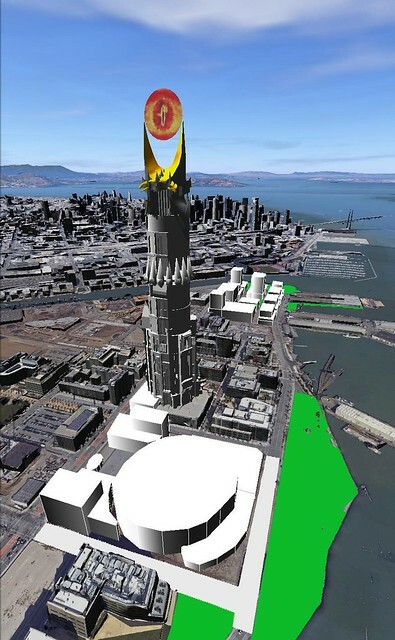 Someone on the neighborhood forum* Nextdoor Dogpatch mentioned that the new construction proposed by the Giants for the former garbage dump** is going to have ten towers taller*** than 120 feet. Whoa. Three of those will be 240 feet! 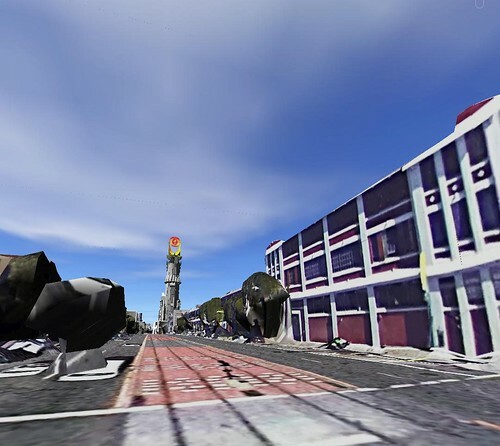 That’s hard to picture, so I did a bit of rendering in Google Earth. 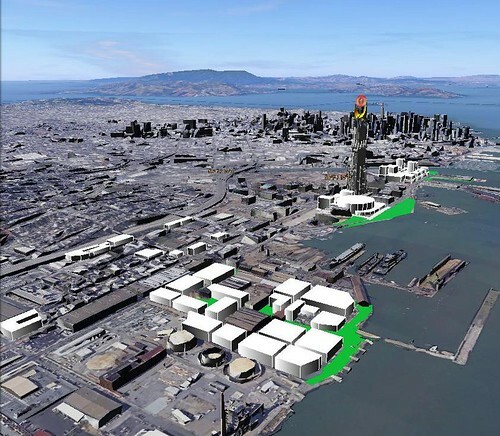 Really, though, those buildings aren’t that much taller than the two towers at Madrone: sixteen stories or about 160 feet. 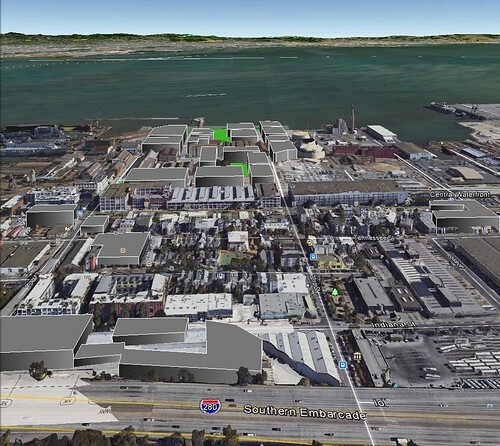 Sure, all the buildings in Mission Bay look and act like vertical suburbs: devoid of street life and better to drive past than walk to — but we can hardly revolt against more units being built that can only be afforded by absentee investor-owners, right? 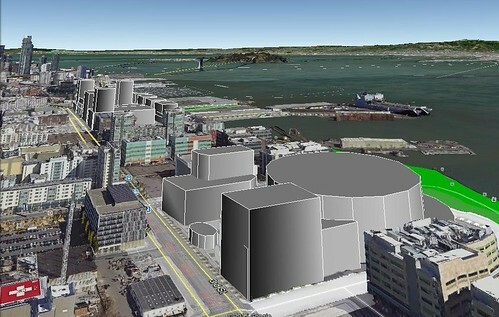 And when you compare it to The new Warriors Arena and Land Grab, it all looks pretty much in line. I am deeply saddened that the arena has been redesigned. I was looking forward to making toilet jokes for the rest of the facility’s life. 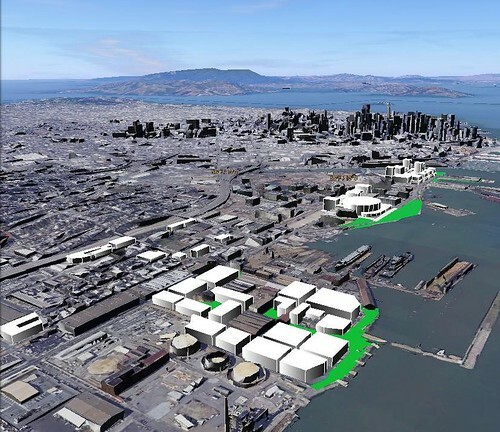 …and if you haven’t seen renderings of Pier 70, it might be surprising. 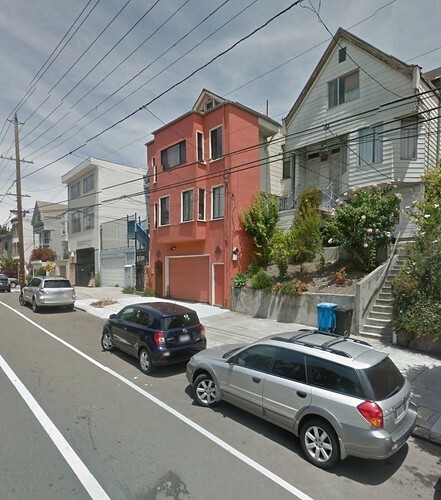 ** Technically, Dogpatch was also a dump. My old hangout — back when it went by another name and featured a famously fractious bartender — has been up for sale for a while this year. All I have heard about it is that the mustache-twirling landlord took a break from tying people to railroad tracks to raise the rent (a lot). Anyway, I think that you can still go in and get a cold beverage of your choice, but unless you know a guy, you can’t peek in the dark crevices of the basement. Thanks to the power of the internets, you can! Visit http://toursler.com/seastar and click around to tour it! Watch out, though, my ghost is in the back corner downstairs. SPOOKY. While preparing artist renditions of upcoming construction, it struck me that there *must* be drone footage of the nearby area hanging out on Youtube wanting to be watched. Grim news for a neighborhood so proud of BAE’s formerly largest floating drydock on the West Coast: we’ve been emasculated! The Vigorous, at 293 meters (960 feet), is staggeringly large. It’s 19 meters longer than our poor 274.39 meter (900 feet) drydock. You could snugly park three Cadillac Fleetwood 75s in the difference (but you’d never get ’em out!). But wait, if you look at the incomplete list of drydocks on Wikipedia, you can see that the Newport News Drydock #12 is clearly the largest drydock in North America, at 675 meters. Following that is Baltimore, Victoria (Canada! ), Marinette Wisconin (on Lake Michigan! ), Boston, another at Newport News, Brooklyn, two in Philadelphia, Pearl Harbor, Panama, the Bahamas, San Diego, another in the Bahamas, ANOTHER one in Philadelphia, and YET ANOTHER at Newport News. Finally, we get to the Vigorous, which technically is the largest floating drydock in the country, followed by our drydock, literally called “Drydock #2”. Oh, Baltimore has a bigger floating drydock than us — but they are on the East Coast and, given the second season of the Wire, probably totally mobbed up. A floating drydock is like a ship that opens at one end and can be partially sunk and then raised back up with another ship inside of it. A graving drydock is basically just a big hole into which a ship can be piloted and out of which all of the water can be pumped — and yes, graving refers to a grave. 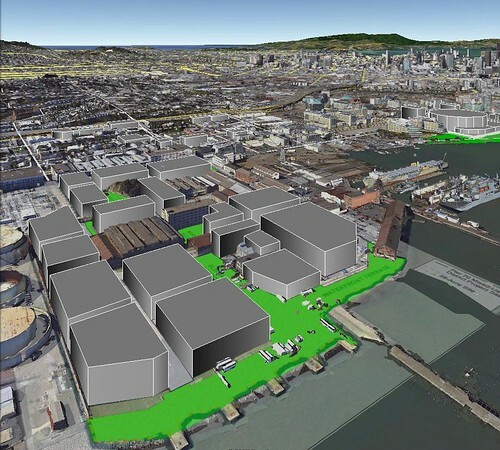 I asked Caitlin Sause of Vigor if she could explain why a floating drydock would be preferable. 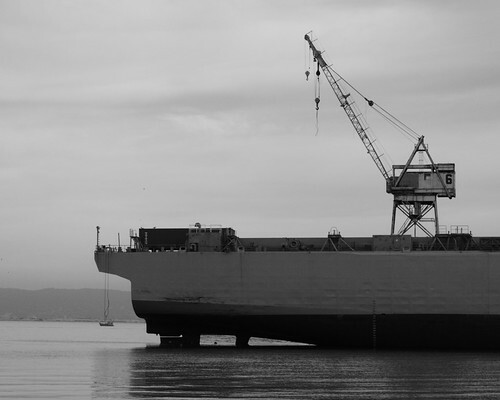 There are pros and cons for both types of docks; however some of the advantages we see with a floating drydock are: 1. vessels can be transferred to/from shore easily 2. The dock can be operated with trim/list, thus reducing block loads and eliminate vessel stability problems and 3. a steel dock can be easily lengthened/modified to accommodate specific projects. The first and third points are pretty clear, but the middle one might bear a little explaining. A boat or ship usually has a V-shaped bottom. A shipyard must place appropriate blocks under the ship before pumping out water. With a floating dry dock, you could angle the whole thing to one side (list) or end to end (trim) to get the blocks evenly under the ship. Our dock comes in behind the Vigorous, but we’ve got nothing to be ashamed of*. 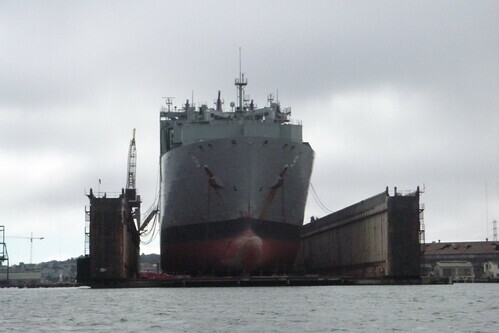 We’re now the second largest drydock on the west coast. It’s above average in length! Anyway, it’s not the size of the dock that matters, it’s how the shipyard scrapes the barnacles. I sent an email over to BAE. Dennis Deisinger, Dir. Business Development, who admitted that the Vigorous was definitely in competition with our old Number Two. We do appreciate the support you ‘Dogpatch-ians’ give the yard. The daily whistles and changing view with each ship that comes by is definitely a part of the neighborhood. Ain’t nothin’ wrong with tootin’ your own horn, but I could swear that I have heard tell of newly arrived neighbors breaking in and stealing the 150 pound whistle from the shipyard. If you believe the PR speak, Vigorous could invigorate the whole US business of shipbuilding. The arrival of the Vigorous opens the entire west coast up to new customers and more work across all shipyards. 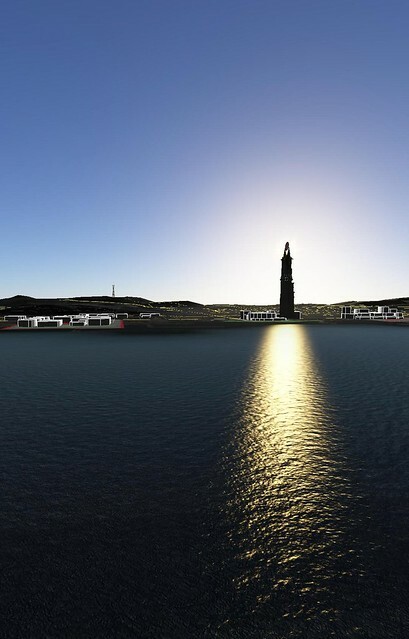 Maritime is considered to be an old industry, but we are evolving and revitalizing. Our vision is to prove that America is not a “post-industrial nation,” by building a US-based industrial business that doesn’t merely survive, but thrives. We are looking to provide stable, long-term, family-wage careers for the skilled artisans who build things with their hands. There’s tremendous opportunity ahead and we are working hard to keep those family wage industrial jobs here on the west coast. 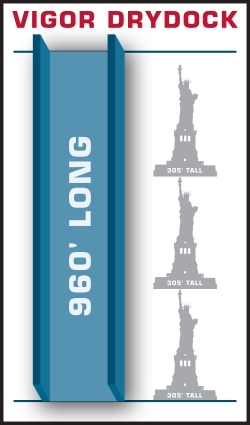 At 960 feet long, the Vigorous should be able to satisfy the needs of most Panamax ships: if the ship can fit in the old locks of the Panama Canal, it can fit into the Vigorous. The New-Panamax (Post-Panamax?) is slightly larger. Those ships won’t fit in the Vigorous. They also won’t fit in our #2. 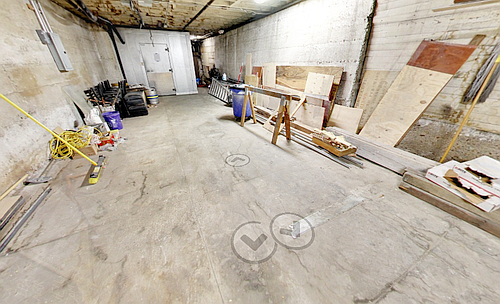 So, if our drydock is “Drydock #2”, what was “Drydock #1”? Awesome! Oh, wait, wasn’t that the drydock that had a body trapped under it? It’s not clear if they actually recovered and identified the body. Sometimes I think that they should just go ahead and film a season of the Wire in San Francisco. 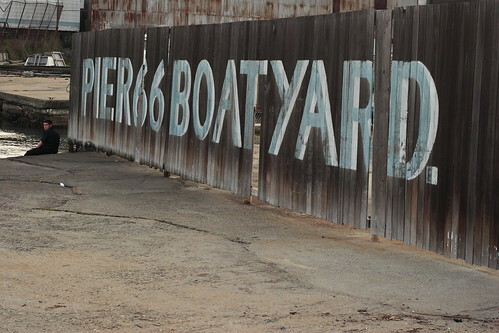 There are some nice photos of the drydocks on the Pier 70 SF phototour. The Mitsubishi Heavy Industries Nagasaki Shipyard & Machinery Works has a 990 meter drydock. You can pretty much see it from space. Okay, well, watch some cool drydock videos! If you made it this far, you might enjoy this 1981 Report on Survey of U.S. Shipbuilding and Repair Facilities. Cream’s Barbershoppe opened in Dogpatch! The other day I got a call from the Barber Lounge telling me that my haircut was cancelled because the shop was closing. WHAT? Then they dropped a second bomb: my barber was opening a new shop on third — not just on third, but 2632 Third: two blocks from my apartment! A phone call and a couple emails later, I got an appointment scheduled and made my way around the corner to their new shop. Both my regular barber Cornelius and the shop’s owner Christopher “Cream” Eliares were there, talking up a storm and making the unfinished space feel like it had been there for decades. “The usual,” I said, fantastically happy that I even had a usual. “How short do you want to go on the sides?” Cornelius asked. I can neither confirm nor deny that I had a beer at one point, but I can mention that they ate up my seemingly endless supply of neighborhood trivia. The sink was not fully installed and the counter was askew, but I’d wager that both of those things are fixed by now. I did not make note of when their Grand opening will be, but their soft opening was already pretty close to perfect. Trims to cuts range from $5 to $45, but you can get crazy stuff for custom prices. You might enjoy Cream’s Audition Tape for a Barber Reality Show, which is disallowed from embedding. Cornelius just has an instagram. The business description on Yelp says that Jan Galang has a chair there, too, but I couldn’t find any information about him, so he’s left out for now. Anyway, you are looking kind of shaggy and should get your hair cut. * when my grandfather started losing his hair he immediately took the nuclear option. I am slowly preparing myself for this eventuality. You know, just last night I took a walk up to the pier at Agua Vista Park to peer at the aquatic view. I had hoped to catch sight of the “supermoon”, but alas there was only a woolen sky and quietly shifting waves. I thought to myself that someone should write something about the unloved and unmentioned park at the edge of the city. Luckily, we have Carl Nolte, San Francisco’s Native Son! 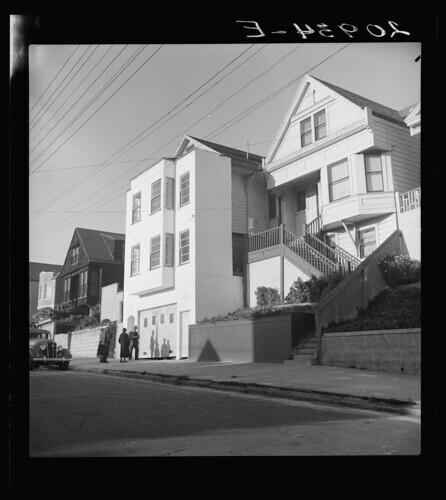 We’re talking here about a short stretch – maybe a mile or so – just south of the ballpark along Terry Francois Boulevard to where it ends at Mariposa Street, next to the Mission Rock Resort and the Ramp bar and restaurant. 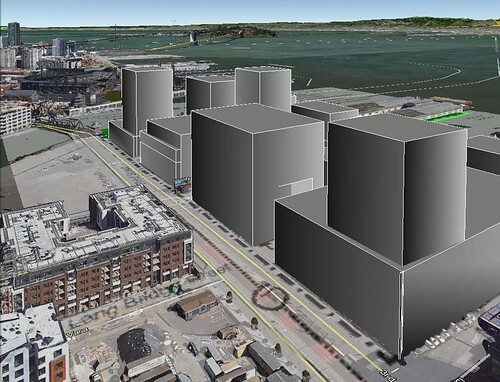 As articles about this stretch of waterfront go, it exists — which is more than can be said about most articles about the Central Waterfront, which can’t be bothered to write themselves.